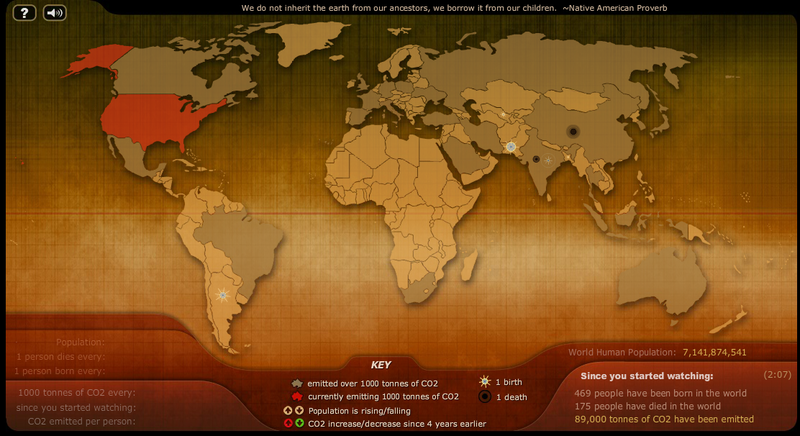 Breathing Earth is a fascinating website that illustrates CO2 emmisions, in real time, for each country of the world. As well, birth and death rates by country and world population growth are indicated. This is a great place to go if you are interested in environmental issues or demographics. It is also a very unique way to look at the world, and interesting from a cartography perspective. Next Welcome Back to School!